In order to better serve you, Archibald offers you an online booking service. Our online service is available for all reservations of 6 people or less. Tables with kids (under 18) are kindly requested to inform us when booking since part of each of our restaurants is reserved exclusively for adults (18 years old and over). Your reservation lasts from 2h00 to maximum 2h30, 7 days a week. We take reservations either at 5:00 pm, 5:30 pm, 6:00 pm, 6:30 pm or from 8:00 pm until 11:00 pm. 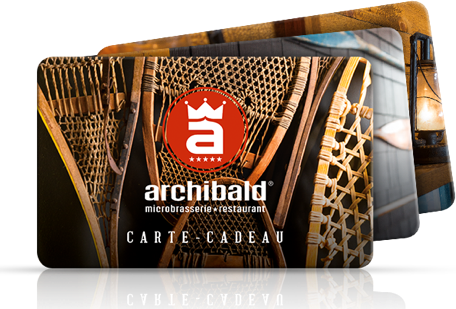 To give or keep just for yourself, Archibald gift cards are applicable in all our restaurants.